Who do people really see in me? Several years ago, I started working on a “family heritage” scrapbook, thinking if would be a fun little distraction. As it turns out, the project has taken on a life of its own. It has proven to be a pleasantly absorbing activity for me, something I can get lost in and hours go by before I know it. It’s nice to have something like that in your life. And it’s fun to play around with the pictures, trying different ways to arrange them on the page, experimenting with varying colors of background papers and embellishments, and deciding what I want to write about the people and memories those photographs hold for me. Sometimes in looking through old family pictures and papers, likenesses between people become clear. Maybe you were always told that you resembled your father or your aunt, or that your laugh sounded like your mother’s (all true for me). Maybe your parents’ report cards bear a remarkable likeness to your own (your A’s in math and English, or C’s in some other course, mirror one or both of them, perhaps). 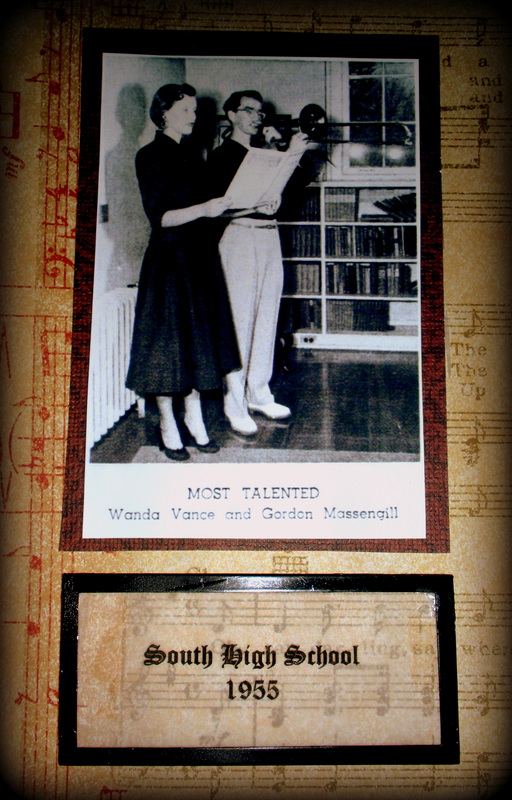 I had the delight of looking in Dad’s senior yearbook from high school and seeing his picture where his classmates voted him “Most Talented”. 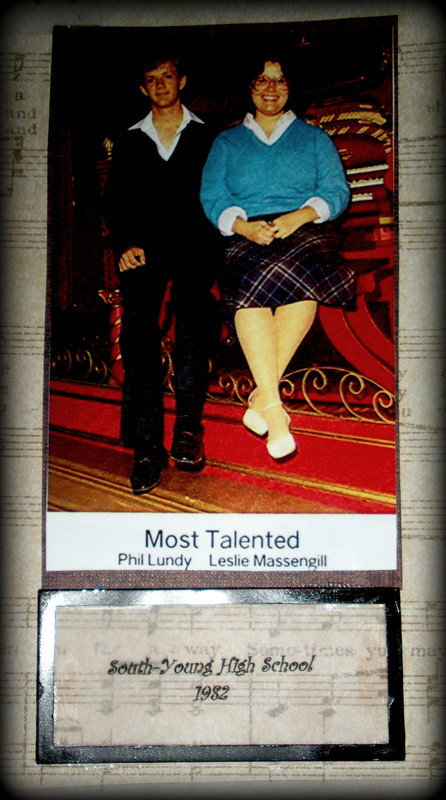 And I had the same very good fortune to be voted “Most Talented” when I was a senior in high school some 27 years later. I scanned the pictures from both yearbooks into my computer to build a scrapbook page with them…two generations of family and music, side by side. I worked for a long time to get that page just right, because it means a lot to me to share this with Dad, and I think he will enjoy seeing it and confirming that his love of music was indeed passed on to the next generation. As a child of God, I wonder about my resemblance to Him. Do people see His character in me, my actions and my words? Do I look and sound like my Father? Is the melody of my life one that is pleasing to His ear?